Did you know environmental anxiety is an actual thing? Did you know that maintaining an eco-friendly home and reducing chemicals in your home can help with that anxiety? When I finally “came to” and realized the damage human beings (myself included, unfortunately) have done to this sweet land we live on, I freaked out! We’ve really run a number on the world as far as plastics, pollution, you name it, goes. Here are a few ways in my home that I “go green” every day. I’ve written about it before in my posts 5 Super Simple Ways to Reduce Waste in Your Home and No Plastic, Please: 5 Steps Closer to Minimizing Your Waste but discontinuing the use of as many paper products is truly one the easiest ways to reduce waste. You can also buy these things called “UNpaper Towels”! It also isn’t that hard of a thing to do, although it sure does seem like it. We do still use toilet paper and tissues, and although we probably won’t get rid of toilet paper I would love to get rid of tissues! If not using paper products is too large of a step, that’s fine. You can buy recycled paper such as Seventh Generation Toilet Paper for an eco-friendly home as a great alternative! You’re reducing chemicals in your home this way by not buying bleached toilet paper. This might be one of the hardest to stray away from. It is so easy to pick up some Windex or Clorox but there are alternative choices for a more eco-friendly home. When I’m deep cleaning the rooms in my home, I use baking soda and vinegar. The baking soda and vinegar react with each other loosening all that grime and much from your bathroom or floor and, the best part, is there’s no chemical released into the air! I sprinkle the baking soda in a sink, spray it with vinegar, and then scrub. Easy peasy and safe! 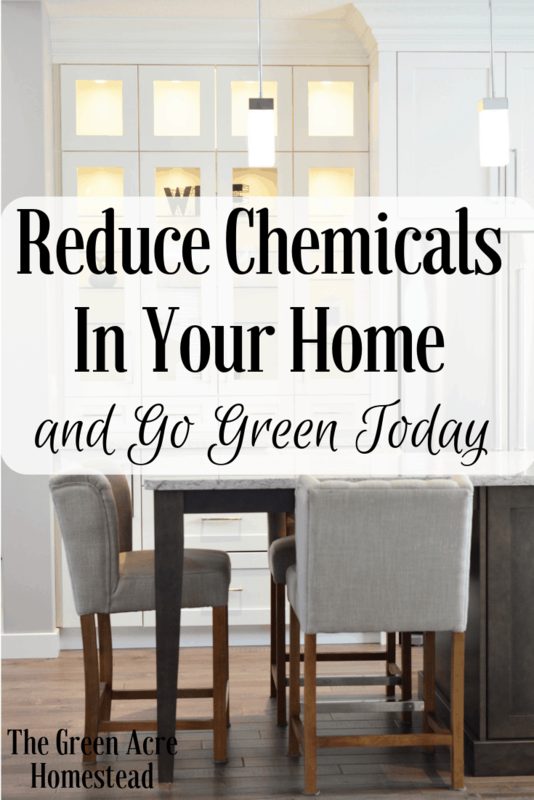 Win-win when trying to reduce chemicals in your home. Mrs. Meyers Clean Day products are also SO wonderful! Instead, use essential oils! I know that there is some taboo about essential oils. They can be expensive or dangerous, and those are both true if you aren’t careful where you buy them from. 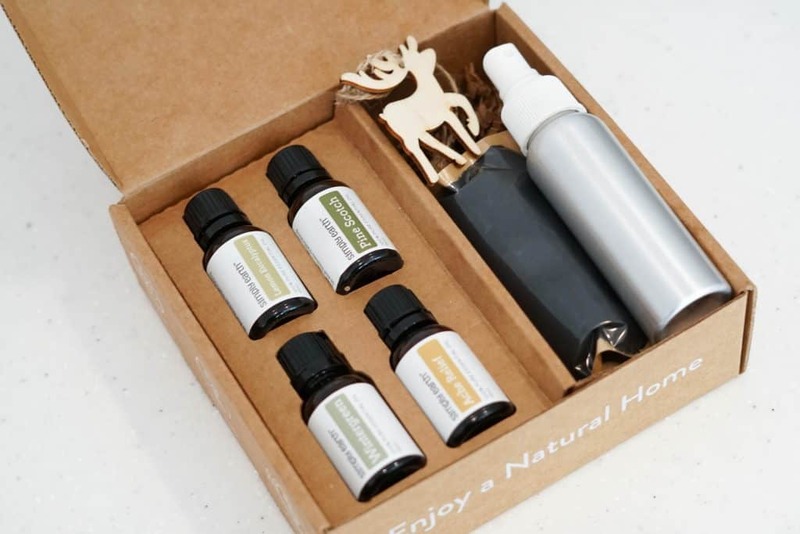 When it comes to trying to reduce chemicals in your home, using the right essential oils can be the answer. You might’ve heard about Young Living or doTerra, which are both Multi-Level Marketing (MLM) Companies, therefore their prices are a bit higher. Their oils are supposed to be quality level, but I could never afford them! I use Simply Earth oils and would love to invite you to check them out! Their oils are pure, honest, and the best part is they’re actually affordable. If you’d like to try them out, use my code “TGAHFREE“. If you’re subscribing for the first time for their AMAZING Recipe Box, use my code to receive a $20 gift card with your initial subscription box AND a bonus box! You can use your $20 gift card on their future purchase or next box. I’ll be writing more about this amazing company soon and will link that post back here when I do. Let me know what you think of them! I’m always pretty terrified to think of what type of chemicals are sprayed on our produce in order to make it to the supermarkets. Did you know that some produce will travel hundreds of miles just to get to your supermarket? That doesn’t sound like the best option when trying to reduce chemicals in your home. Now, I don’t know about you, but I’d rather eat fresh. Although my gardens are struggling right now, we’re still harvesting carrots and some greens and it feels SO good! If growing your own isn’t an option, buying local is a great second. Buying local produce from local farms promotes so much “good”. Our local farmers are busting their booties every day working hard to bring us the finest produce and by buying that produce, they are able to continue supporting the Earth, saving the bees (by gardening! ), replenishing our dirt where everything begins and ends, and keeping us healthy with honest food. Look up if your area has a local CSA through this link —> https://www.localharvest.org/csa/ and then go share that link with all your friends and tell them to do the same! We have even stopped using all paper items which helps a ton. Always clean with vinegar and baking soda, lemon. Found you on Simple Homestead Blog Hop. I always use vinegar, baking soda, and lemon, too. It’s my FAVORITE combination! Thanks for stopping by! This is a great post, and great tips! It’s so much better for us and for the earth if we could all make the effort to do these things. Thank you so much for sharing on the Homestead Blog Hop! Thank you! 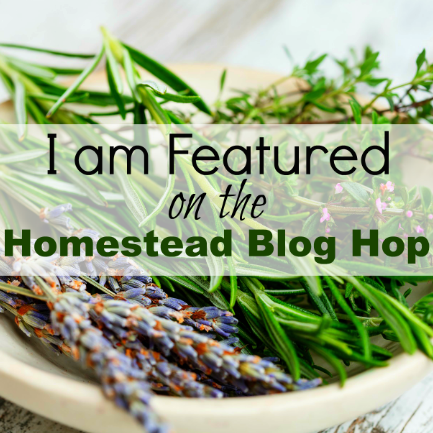 And I truly love being part of the Homestead Blog Hop! I also react strongly often to artificial fragrances! All we can all do is our best! I think you’re doing great. Thanks for stopping by, Jean! Great article, I’m constantly working on reducing chemicals in my home. Thanks for sharing.